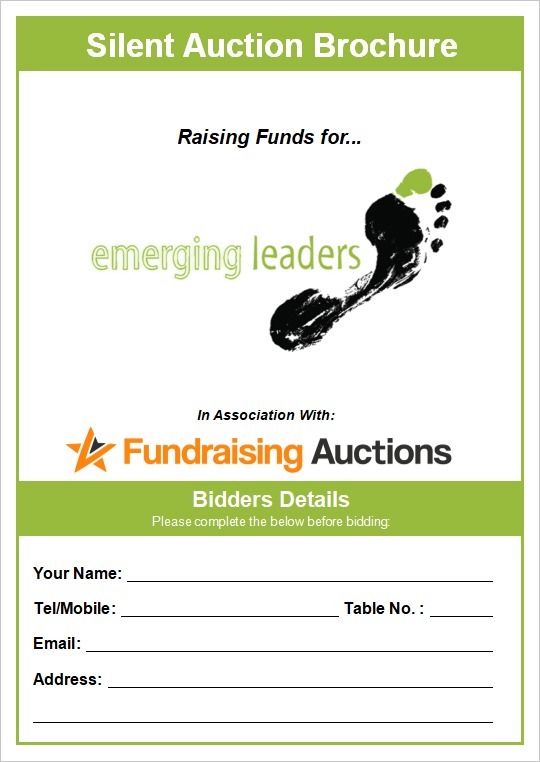 Jill at The Crown Inn (Oxted) hosted their annual Burns Supper in January, with all funds raised going to support a fantastic Charity called Emerging Leaders. 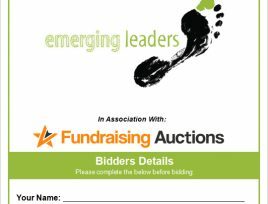 A large proportion of Emerging Leaders work is focused in vulnerable communities in Africa and the UK, where they give locals valuable life skills through their Leadership training programs. There were upwards of 80 guests expected to attend and the format of the night was a three course sit-down meal which was perfectly suited to our free silent auction service. 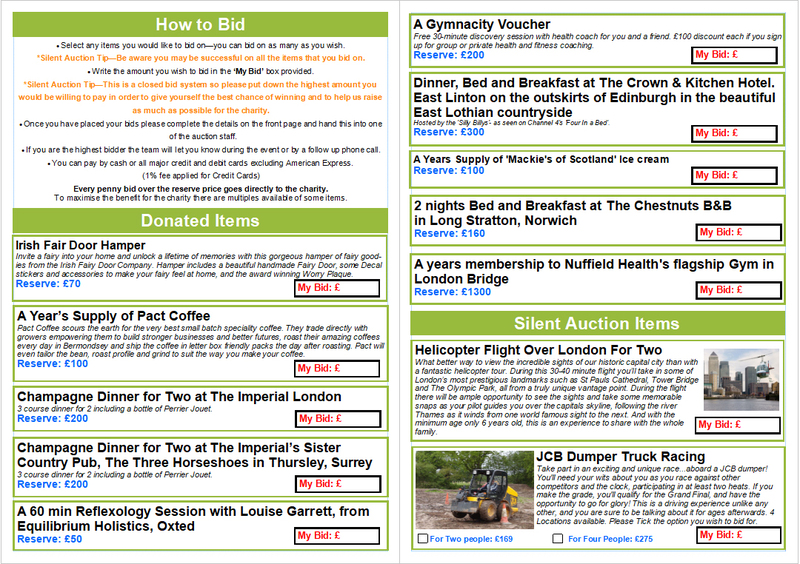 The organisers were also lucky enough to have 10 donated items which were all included in the silent auction brochure. In all cases where organisers have donated items these are included completely free of charge and the charity receives 100% of the proceeds raised from these items. Sixty customised silent auction brochures were produced (approved by the organiser before the event) and placed around the venue by our Event Manager Phill, who was in attendance to run the auction from start to finish. The auction went very well and over £3,600 was raised for such a great cause! Our extensive range of gourmet dining experiences proved popular with guests in attendance, with our private chef & Gordon Ramsay dining packages raising nearly £1,100. 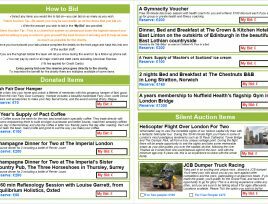 Other items that sold include a Florence Spa Break, Tiger Moth Flight experience & a Geoff Hurst signed photo as well as 8 donated items. Thank you Jill, we look forward to coming back next year!